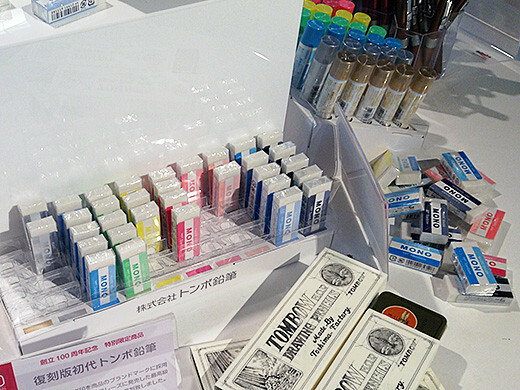 Tombow is one of the most famous stationery brand in Japan. 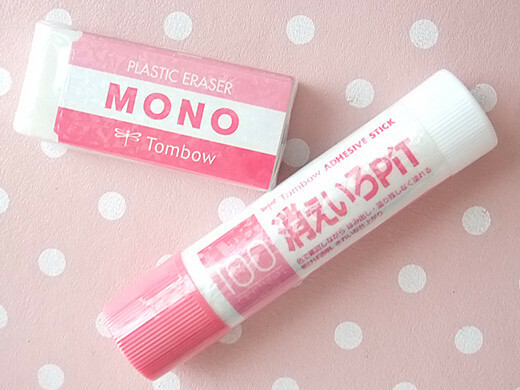 For their 100th year anniversary, their most popular products MONO (eraser) and PIT (stick glue) wears beautiful 10 colors. These ones’ basic “costume” are based on blue. 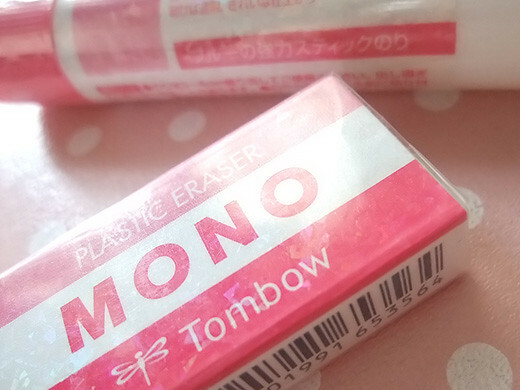 I got bright pink hologram colors. 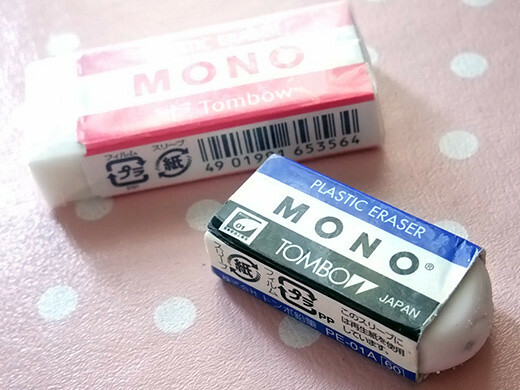 I am using these products from my childhood. I love these and hope I can get and use these easily forever!